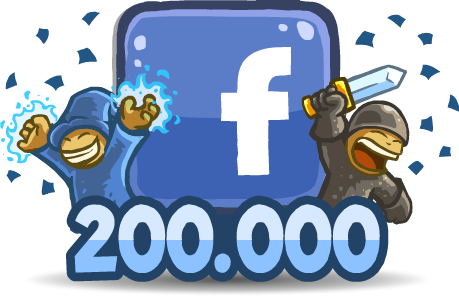 We are very happy to announce that we reached 200.000 facebook followers and in order to spread the happiness a bit we are making a premium content give away!!! You heard it people, free stages, reinforcements costumes and crazy looking money gnomes for the first 100 users to post their Armor Games login name on facebook!! What are you waiting for??! Start smashing those keyboards!